Copied in this Youtube video from Earth Touch which was on kittykat23uk's South Africa thread. Cheers, Hari....crossing my fingers Feb will be just as productive. Wow! Some of thoe videos are amazing! I'd love to see wild dogs! Great shots - well done - particularly the ones with the dogs moving. Thanks Nick, any plans to head back to Botswana soon? Totally agree- amazing shots, looks like perfect late afternoon light! Yes - fortunate enough to be going end of Feb/early March. Do you have any plans? Some excellent images & video in this post. I particularly like the DOF on Russell's #2 image. Here's a few of mine. I decided to select a few with a bit of action or more unusal sightings/events. 1. Selinda 1998 Taken in very harsh light and a scan from slide film. I was out all day and we decided to have our lunch at the wilddog den. Grant Nel had found it whilst doing a walk a few days earlier but the pups had not been seen. The alpha female was inside the den and a few of the other dogs were lying around when all of a sudden the alpha female appeared. I only got a chance for one image before they were all ordered back underground by the female. 2a & 2b. Selinda 2002. about a stones throw from the old Zib camp. Wild dog meet and greet. Basically warming up for the hunt. 4. Selinda 2002. Near Old Zib - Cheetah Ridge to be exact. Pups playing before it got too hot and they retired to the shade. Scanned from slide. 5 Selinda 2005. Near Old Zib. Not many guests get to see wilddogs and even less get to see puppies inside the den. 6. Selinda 2005. Near Old Zib. A pile of pups outside the 2nd densite on a coolish morning. Nice shots, strange how times have changed from being allowed out of the vehicle to see Wild Dogs. Here are some images from our recent Sept trip to Botswana of the 10 WD Mapula lodge pack. Images taken with Nikon D3 & 500VR f/4. The first 4 images are of this pack on the trail of an Impala herd they were hunting in the late afternoon. The pack now needed to cross this bridge to keep the Impala herd in their sights. We had heard them take down this Impala on the other side of the lagoon, and by the time we arrived some 5 mins later they were already half way through eating this helpless female. Next morning we found the pack sated and contended still waking up in the early morning light not far from the lodge. This one still content on sleeping in. A few hours later we came upon this incredible sight of a mother giving birth to this Zebra foal! Not long after the foal got it's legs, the herd started to wander over to where the WD pack were still lying. Fortunately the mother is able to drop her placenta when threatened, and was enough to satisfy this pack. The following images are the pack squabbling over the remnants. This was all that was left of the Impala from the night before. Interesting behaviour with the placenta. 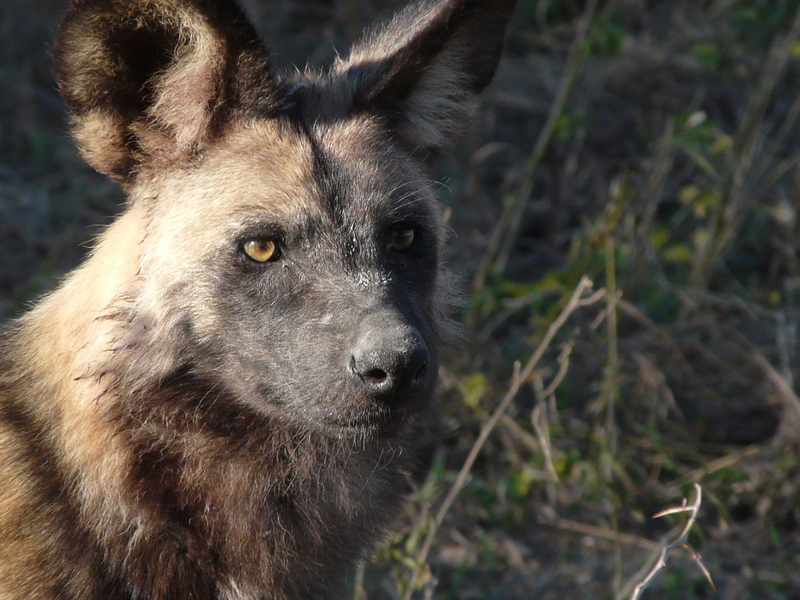 And always fantastic to go on a hunt with wild dogs. That's a terrific series of shots Marc. Great photos to top a great experience. That portrait is superb. I can almost see your reflection in its eyes. Wow - some great photos - really love yours Mark with the Zebra. How amazing. 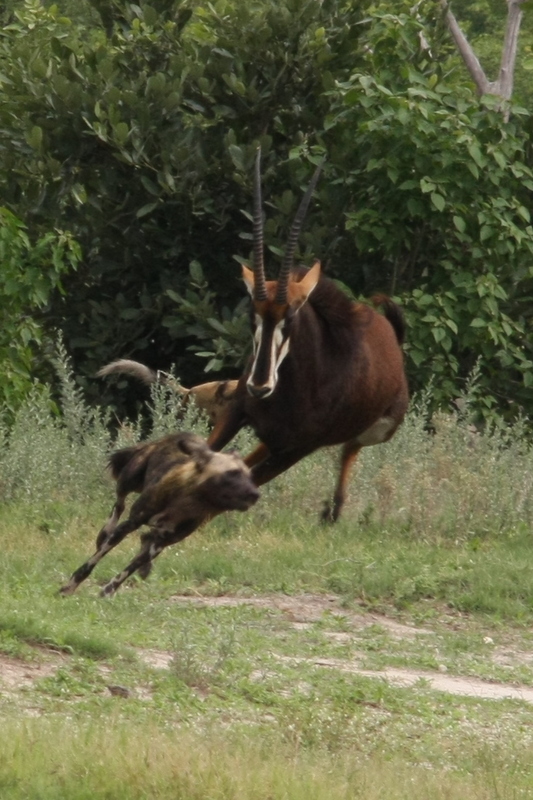 Recently we watched some Wild Dogs hunting Sable Antelope. Every now and then one of the sable would fo after the dogs. 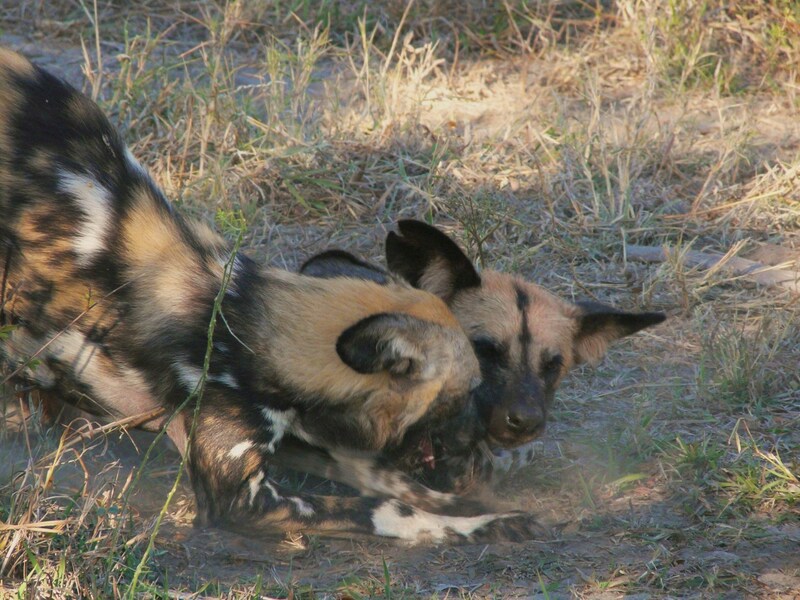 hope you don't mind me sharing my wild dog pics - these were taken with a Panasonic FZ18 at Lagoon camp in July 2009. This is the Lagoon female at the den waiting for the pack to return. This was after the pack returned and shared their lovely meal! Sniktawk, I had an interesting conversation with an older Maasai when I was on safari recently. 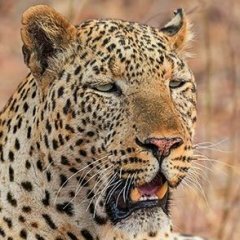 I was asking about the wild dogs in the Aitong area having heard that a few had been sighted and he (and his peer group) still see the dogs as extremely dangerous to humans. However, from what I have heard, anecdotally, it appears that humans aren't often (or at all?) threatened by dogs. 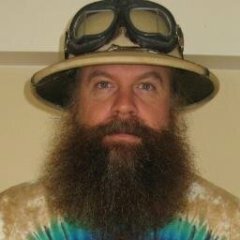 Perhaps one of the things which needs to be addressed is educating the villagers living near dog country about the real threats to them. I wonder how local people in dog rich countries such as Botswana perceive them? Marc, have you noticed the changes to the BBC WPOTY? There is a category which would suit your zebra/wild dog interaction photos down to the ground. Have you considered entering? I shall have a look there, and see if I can summon up enough courage. Marc, you can do it. Put the series (you need to cut it to 7 images I think I remember) up on BPN and ask for a critique on the submission. I know you have had individual photos critiqued but I'd do the 7 in one thread and I'm sure all those nice photographers will give you good advice. How many times would anyone see anything as amazing as you saw? Seriously, it is one of the best captures of events happening that I can remember seeing. You mentioned Aitong - I was there in June 2008 for a drive or two. Cattle and herders all over the place. They certainly aren't afraid of humans and certainly aren't a thread to people ........ there's so many times that I've been at say a Tea stop or whatever and then you see the dogs running all around you, trying to generate momentum to hunt.